YESTIVAL 2017 – featuring Yes, Carl Palmer’s Legacy and (unfortunately) Todd Rundgren – August 7, 2017 at the Pier Six Pavilion. A lovely night for a concert and an even better one to meet the Yes boys backstage. New to this tour was Steve Howe’s son Dylan Howe who played percussion and backup drums for the still-recovering Alan White. Jon Davison was very charming and Geoff Downes was his normal jolly self. He always remembers to say “thanks” for the support. Steve Howe was favoring the Abraham Lincoln look on this tour. Not sure why. The group played 1 song each from the first 10 studio albums with “Roundabout” and “Starship Trooper” as encores. Not to be forgotten! 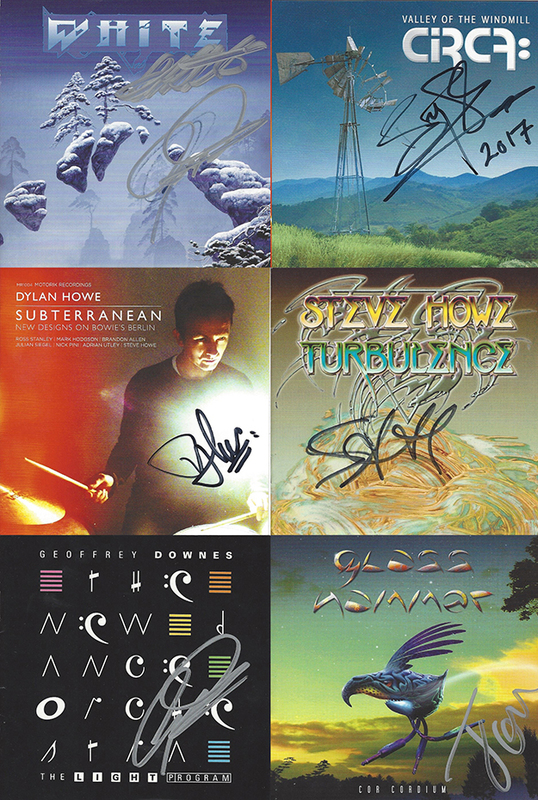 The autographs – which were happily given.